SCVHistory.com HS1803 | Newhall | Historic Dance Hall-Morgue Piano Donated to SCV Historical Society, 2018. Lloyd Houghton's 1903 Starr upright piano from the storied Hap-A-Lan dance hall in Newhall was donated to the Santa Clarita Valley Historical Society in 2018 by Cynthia Harris. The dance hall stood at the northwest corner of Railroad Avenue and Market Street. The building had served as a general store almost since Newhall was established at its current location in 1878. In 1914, the general store business (not the building) moved one block west to Spruce Street (now Main Street). Houghton acquired the old, abandoned building in 1919 and turned it into the local community center and Masonic lodge. The piano's manufacture predated Houghton's property purchase, so perhaps he bought the instrument "used." Music and dancing at the location ended in 1928 when the St. Francis Dam collapsed. Newhall's community room — Houghton's Hap-A-Lan hall — became a makeshift morgue when some 70 bodies were placed inside it for identification and further disposition. Forever tainted, the old Hap-A-Lan building was razed, and the Masons built the existing 2-story Spanish stucco building in its place. Opening in 1932, the ground floor was the county courthouse, while the second floor became the lodge. The original Hap-A-Lan dance floor was reportedly salvaged and reinstalled upstairs. After the disaster, Houghton's daughter, Betty Pember, inherited the piano. In the early 1980s, she gave it to Cynthia Harris' son, Howard Wayne Harris. Cynthia Harris remembers: "It was used on the [SCV Historical Society] July 4th Hap-A-Lan dance hall float and won grand sweepstakes. The piano was also rolled outside for a W.C. Fields and Mae West 'Bathtub-Gin' party at the Harris home on 8th Street." Lloyd Houghton was an original incorporator of the Historical Society in 1975. Cynthia Harris is a past president of the society, and she chaired the drive in 1980 to move the Saugus Train Station to William S. Hart Park, where it became the nucleus of Heritage Junction. Betty Pember (1921-1992) was a past president of the society and was named SCV Woman of the Year in 1980. In September 2018, the piano was professionally moved (at Historical Society expense) from Harris' home in Newhall to a secure City of Santa Clarita government facility where it was crated for preservation and placed into temporary long-term storage. The piano measures 52 inches tall, 62 inches wide and 28 inches deep (front to back). Conceptual plans envision it being displayed in a future visitors center at the proposed St. Francis Dam Disaster Memorial site, where it could be used to launch discussions of victim recovery and the broader impact of the disaster on neighboring communities and the changes it wrought. 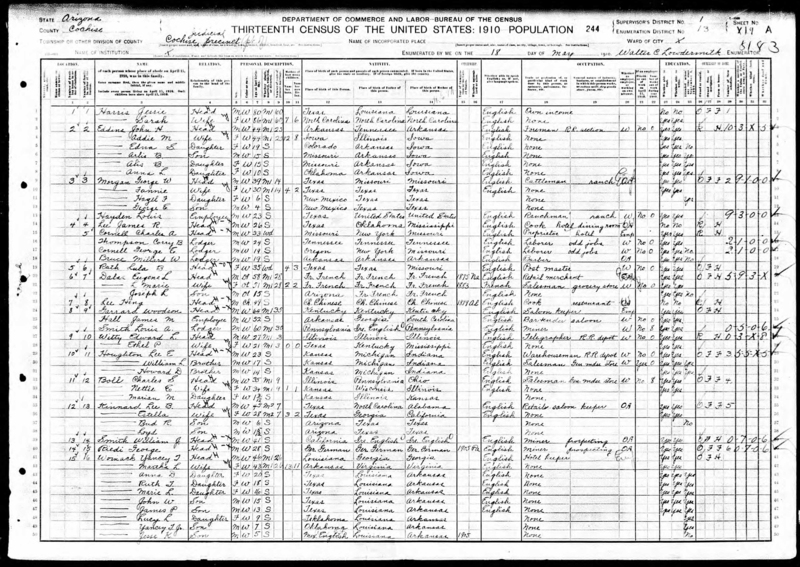 Lloyd Houghton was born William Lloyd Houghton in Kansas on April 11, 1893. As a teenager with an eighth grade education, he moved (farther) west with two of his brothers, one older, one younger, stopping first in Arizona where he worked as a salesman in a general store. No sooner had he mustered out of the Army as a sergeant than he married Newhall native Lela Opal Mayhue on August 21, 1919. We don't know the circumstances of their meeting, but the couple lived in Los Angeles where Lloyd had gone back to work as a card writer after the war. 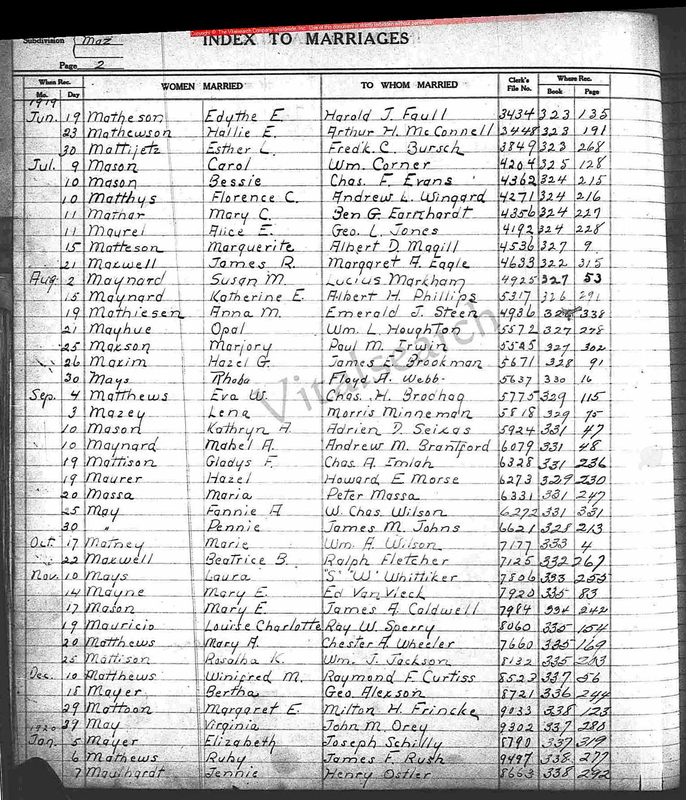 Opal Mayhue was William Mayhue's daughter. While she was growing up, the Mayhues owned a big barn at the corner of 9th and Chestnut streets where Tom Mix's horse, Tony, was corraled. William Mayhue also owned Newhall's general store property. He bought it in 1906 and leased it to the local general merchant, Albert Swall. When Mayhue raised Swall's rent — it was prime real estate on what was then Newhall's main street, opposite the train depot — Swall rebelled and built his own building a block away. Most of the rest of Newhall's merchants followed. Mayhue was landlord to many of them, too. Two years later, Lloyd and Opal's daughter, Bette Louise, aka "Betty," came along. She was born April 11, 1921 ... inside Hap-A-Lan hall. During Betty's earliest school years, the young family finally moved to Newhall for good. They lived at 653 Apple Street. The Depression was on, and in August 1933, Opal landed the job as the local postmistress. Betty went away to boarding school. Opal held the post office job until about 1944. By that time, Lloyd and Opal had divorced. They were still living together in 1940, when Lloyd was working as a house painter on local construction jobs, but by the end of 1941, Opal had filed a name change with the Postal Service — under her new married name. Lloyd remarried, as well. Opal died in 1982, Lloyd in 1983, both in Newhall. Betty Pember made public service her life. She studied nursing at L.A. General Hospital and joined the U.S. Cadet Nurse Corps during World War II. Returning to Newhall permanently in 1957, she volunteered and held leadership positions in numerous local organizations, from the American Legion Auxiliary to the Friends of Hart Park and Museum to the SCV Senior Center. Her piano can be used to tell those stories, too. 1. Starr Piano Company traces its origins to Richmond, Indiana, in 1872, under a different name. Around 1915 it focused on making phonographs and launched a record label, without much success. It manufactured its last piano in the early 1950s. 2. Cynthia Neal-Harris, personal communication, November 19, 2018. 3. Cynthia Neal-Harris, personal communication, July 10, 2018. 4. 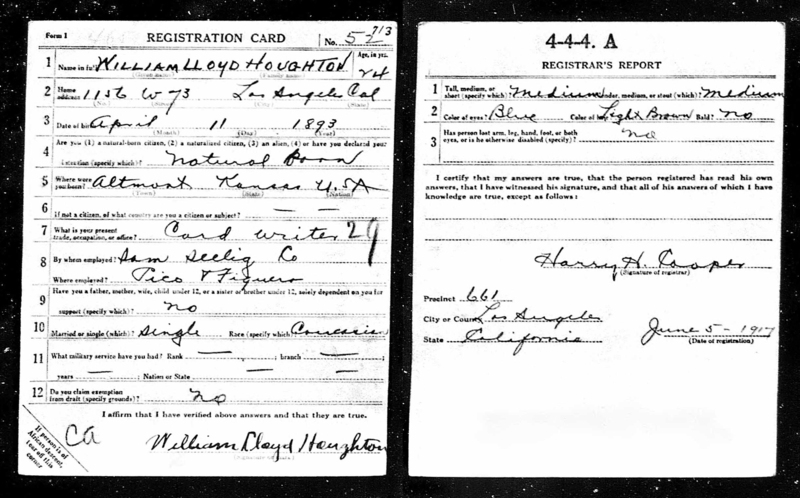 Houghton's World War I draft card, 1917; 1900 U.S. Census, Mount Pleasant Township, Kansas. 5. 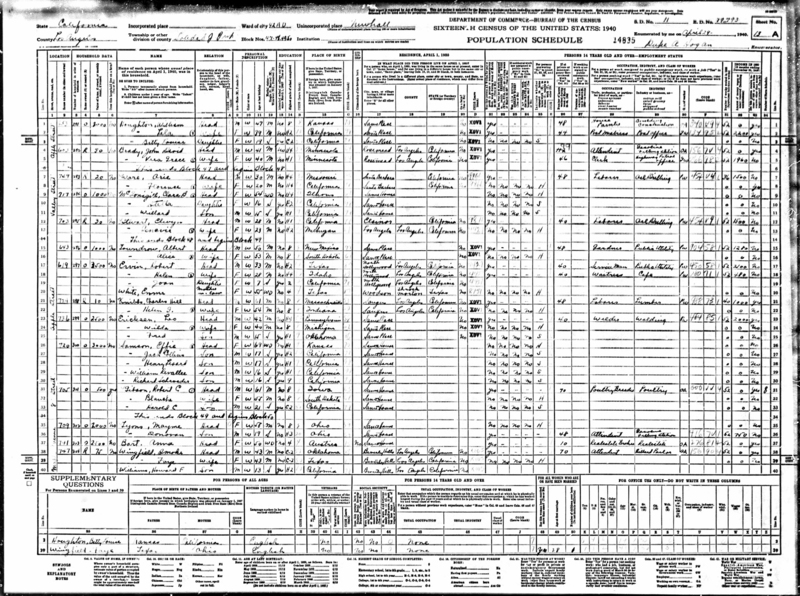 1910 U.S. Census, Cochise County, Arizona. 6. Grave marker, Inglewood Park Cemetery. 7. 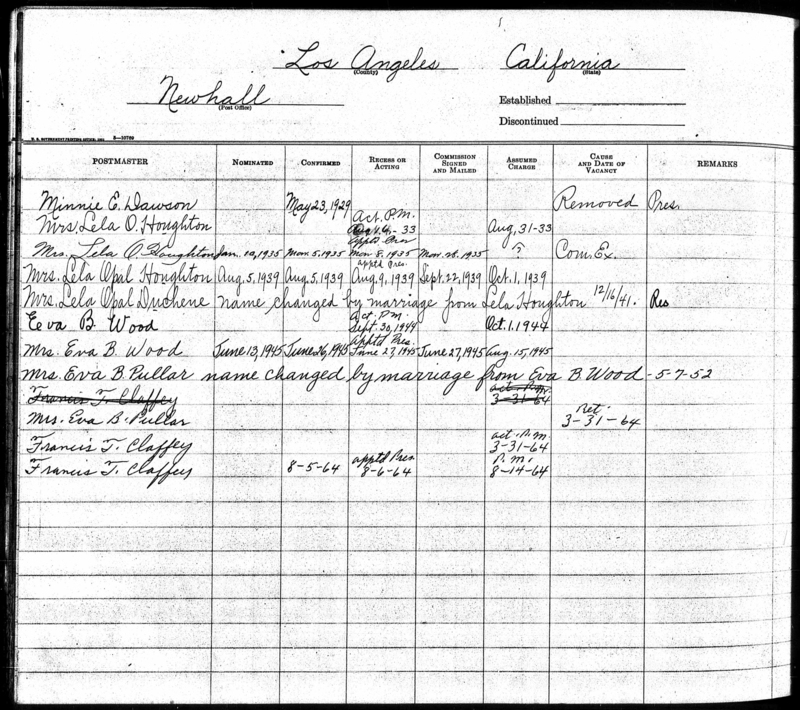 Birth record; Index to Marriages, Los Angeles County. 8. 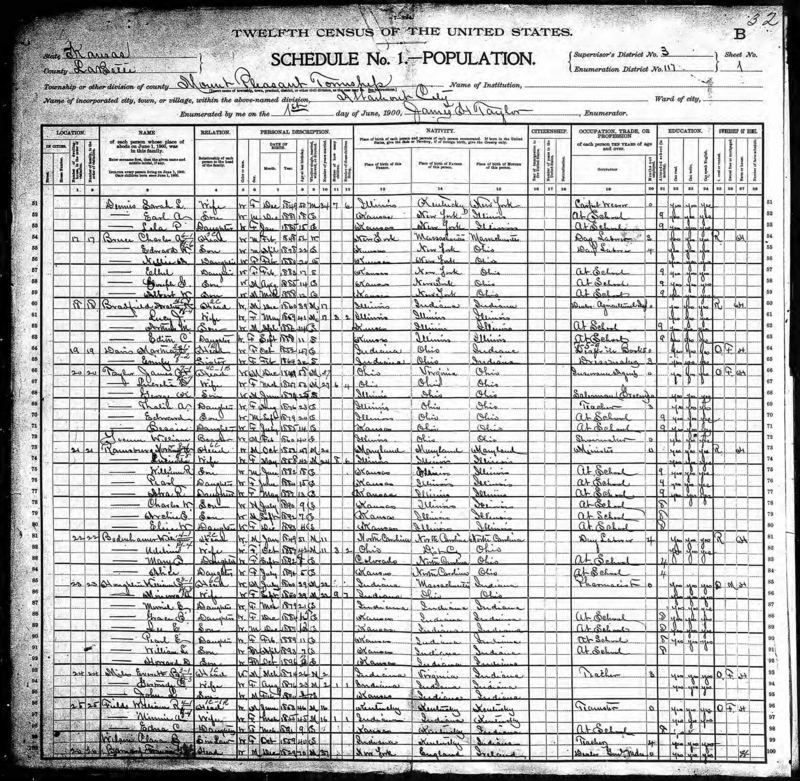 1920 U.S. Census, Los Angeles. 9. Betty Pember cited in The Newhall Signal, February 3, 1988, pg. 42. 10. 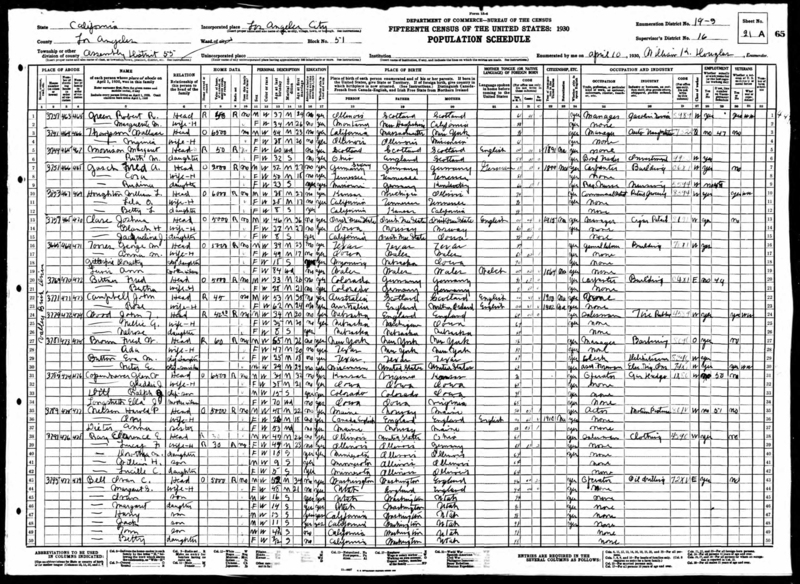 1930 U.S. Census, Los Angeles. 11. 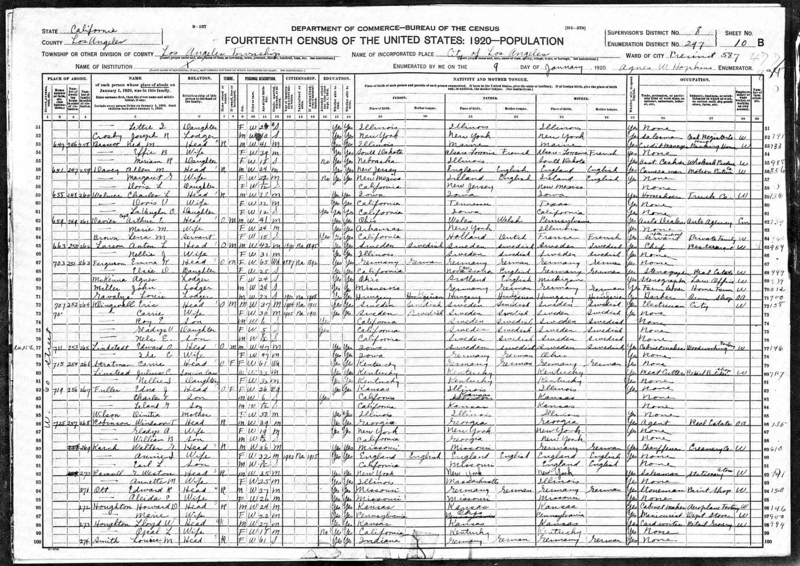 1940 U.S. Census, Soledad Judicial District. We don't know how most of the original 3-digit numbers translate to the 5-digit numbers of the 1950s. 13. List of Postmasters, Los Angeles County (Newhall). 14. 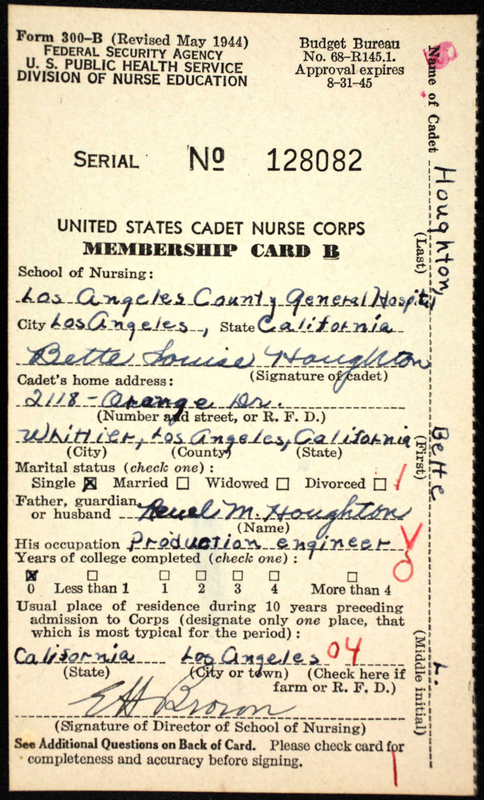 United States Cadet Nurse Corps Membership Card, Rev. 1944. 15. Heritage Junction Dispatch, February 1985. HS1803: Download original images here. Photos b,c,d,e by Cynthia Harris, June 28, 2018. All others by City of Santa Clarita, September 21, 2018.